I was in the same boat. I just didn’t even think about the book, but someone asked for it for a secret santa this past holiday season. So I decided to give it a shot. I couldn’t stop reading it. The fact that it is youth fiction makes it a quick fast read, but the story is riveting; you just have to know what happens next. And I don’t know if it was something that I experienced, the books made me feel uncomfortable at the right times; like at the end of the first book or during the third. It makes you so invested in the characters. Amazing. I am looking forward to the movie as well, but I’ll probably hate it because I’m that kind of reader. 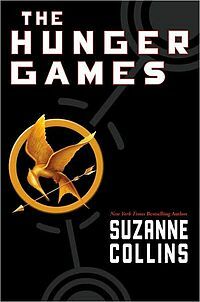 The book is definitely better than the movie, you were right, it’s a bit disappointing. The movie has a lot of cool visual effects and can be interesting to those who didn’t read the book. After I watched the film I came back home and started reading it for the second time so that I could remember the emotions it aroused in me. Thank you for the short and informative review, I’m sure many people will want to read Hunger Games following your advice.